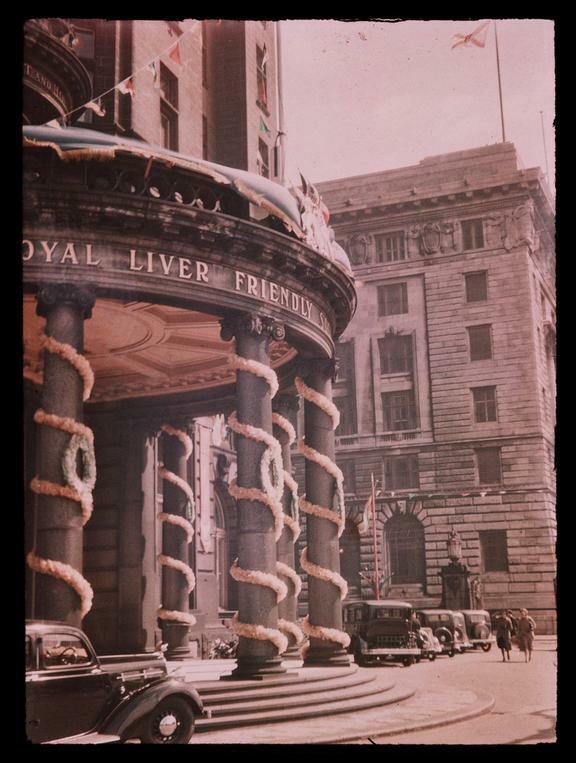 A Dufaycolor colour transparency of the entrance to the Royal Liver Building in Liverpool, taken by an unknown photographer in about 1945. The entrance is decorated with bunting and flags to celebrate VE (Victory in Europe) Day and the end of World War Two in Europe. Erected in 1908-1911, the Royal Liver Building was designed by William Aubrey Thomas (1866-1951). It is one of the earliest examples of multi-storey reinforced concrete construction.